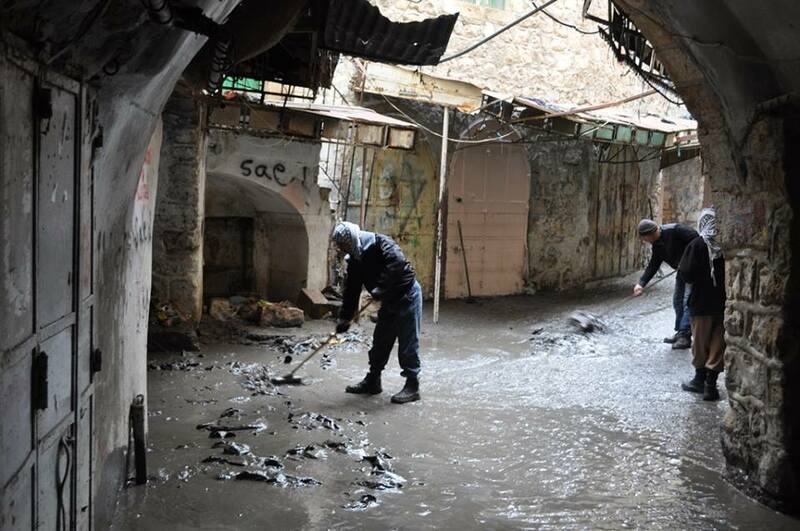 During rainstorms the Old City of Hebron is flooded due to the closing of drainage channels by the Israeli settlers, who have also forbidden the Hebron Municipality from improving the existing infrastructure. 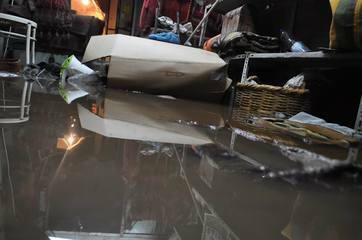 The last flood happened in March 2014, when a meter of thick mud and 1.5 meters of dirty water overwhelmed local shops, with more than half of the stock in the shops being affected. It has been considered a consequence of the lack of adequate infrastructure, also compounded by the presence of roadblocks, placed by Israeli forces to control Palestinian pedestrian movement in the area, which also leads to impede the flow of storm water. In fact, planning restrictions, as part of interim peace accords by Israeli and Palestinian negotiators two decades ago, widely limit locals' ability to build water infrastructure or repair damaged or polluted wells. 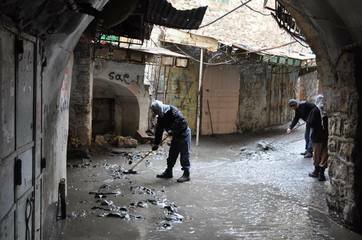 In Hebron, efforts to lift the concrete slabs to release flooding and to open holes in the iron barrier built by the Occupation at the Souq has been slowed by Israel, facing the opposition from local groups and international organizations. The same happened with the design of a drainage and rainwater collection system which separates rainwater from waste water and helps to prevent flooding. Thus, the barriers that limit the construction of infrastructures to avoid floods are related to the presence of Israeli settlements in the Old City, which makes it difficult to get permission to work. The closure of access roads to the Old City has made it difficult to bring in building materials. During the second Intifada in 2000, when the Israeli military installed checkpoint 101, passages in the Old City including the main water drainage route were closed. 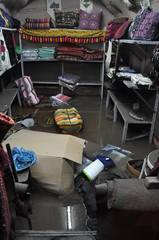 The IDF also blocked an exit from the souk with a metal gate which causes the water to back up behind the gate and flood the shops above. 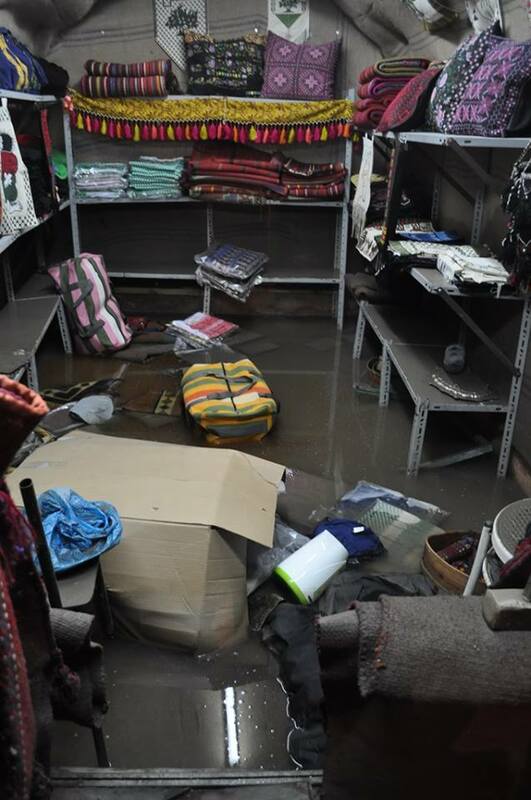 This situation could improve significantly, if Israeli settlers opened the existing water drainage channels, or if they allowed the Hebron municipality to build an adequate drainage system and repaired the infrastructure in the Old City. Development of Alternatives The solution to this problem should be first to lift the concrete slabs and release flooding, removed the concrete to prevent the passage of water to the old city Souq. Alternatively, holes in the iron barrier built by the Occupation by the Souq should be opened. These actions should also be supported by building water infrastructure and the reparation of damaged or polluted wells. Why? Explain briefly. 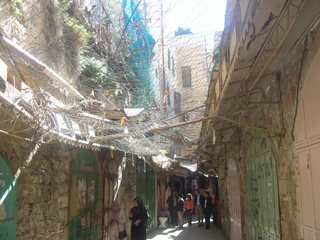 Currently the Old City of Hebron is considered as a "Ghost Town". Business are closed and the limits of movement imposed by the Israel Defense Forces and the clashes with settlers together with their control over the existing water drainage channels made the situation in the Old City have an overall negative impact over the environment, health and economy of the people living and working in the Old City of Hebron.